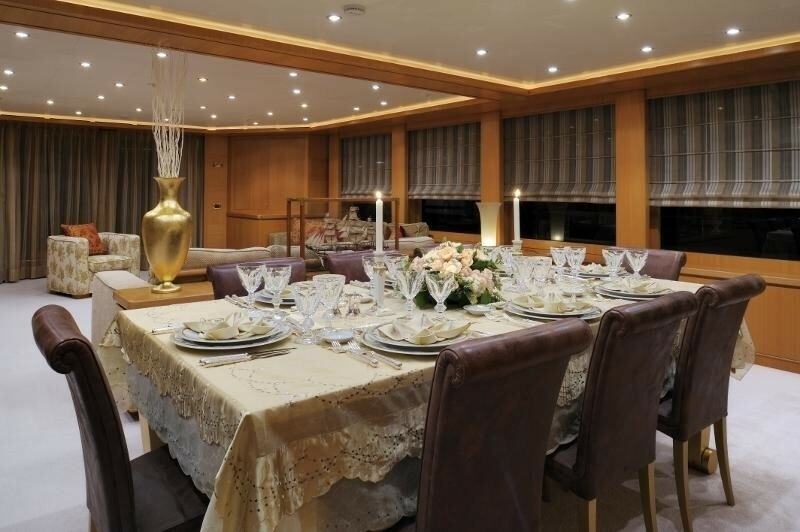 OASIS (ex Amoixa, Axioma) is a 47m (154ft) luxury yacht created by ISA - International Shipyards - in Ancona, Italy. 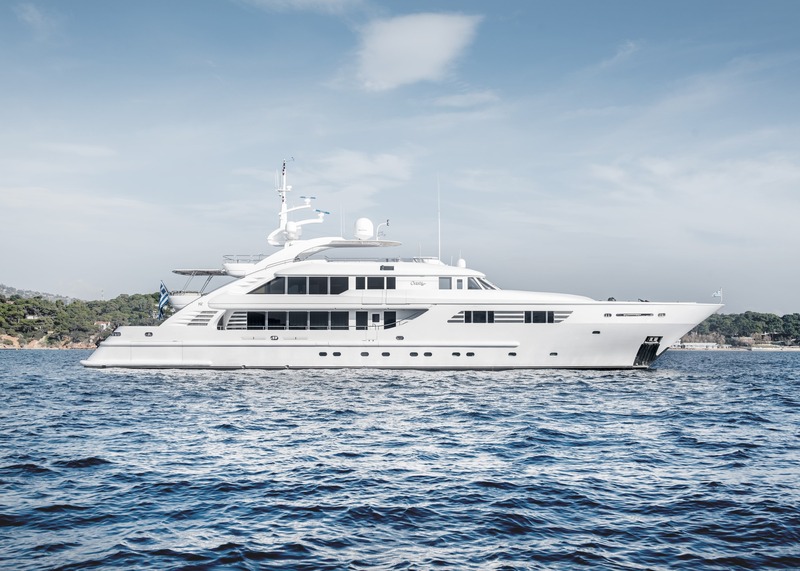 She is a light displacement motor yacht with a steel hull and aluminium superstructure. 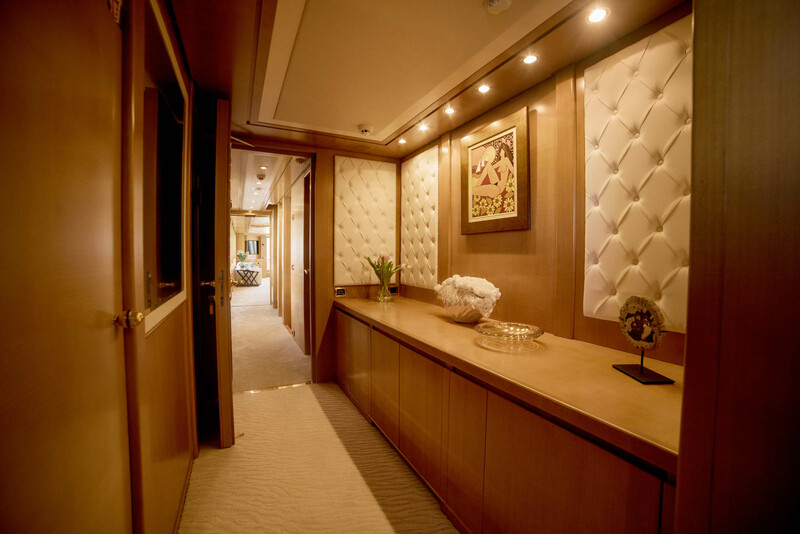 The concept & design is by Walter Franchini, the interior design is by Luca Dini. 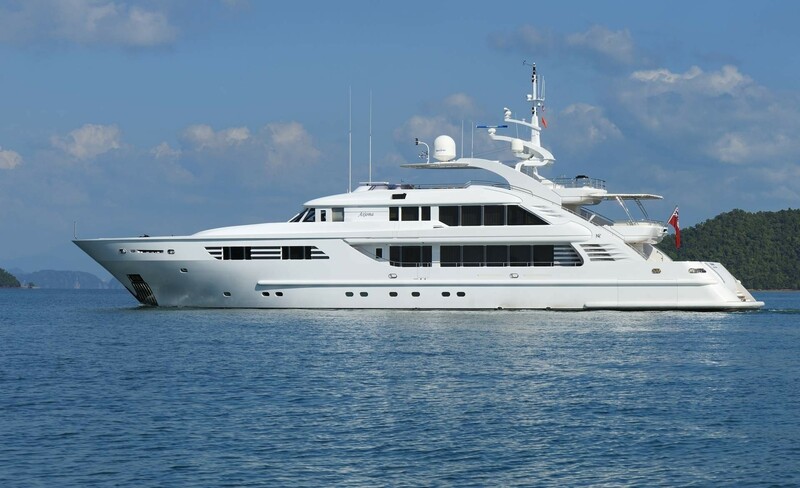 She was launched in 2006 and refitted in 2017. 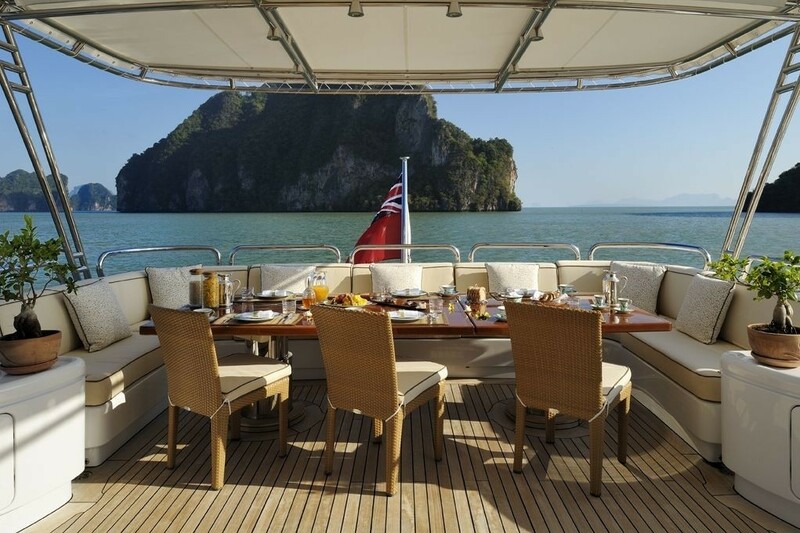 OASIS offers artistic Italian styling inside and out, great deck spaces (along with a deck Spa Pool and swim platform) and guest accommodation up to 13 guests in 6 cabins, which is quite rare for a yacht of this length. 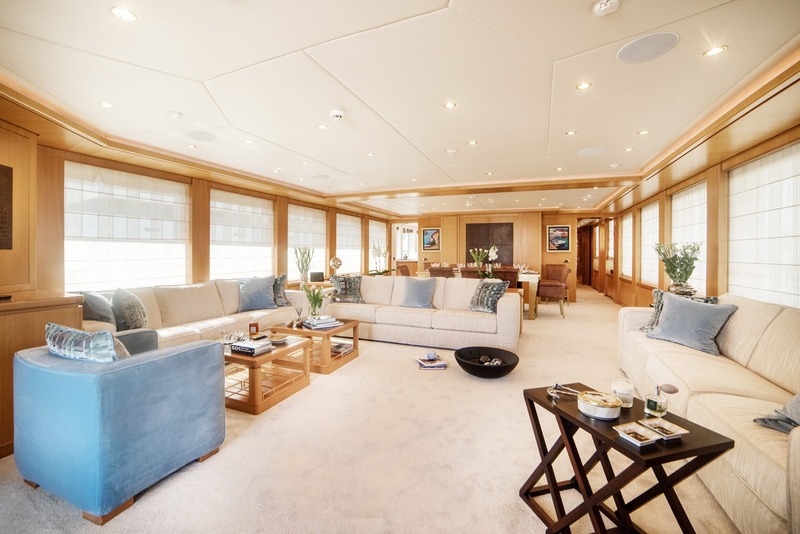 In the main salon, an ample lounge with plush seating and coffee table is ideal for socializing, while forward, the open plan formal dining allows guests to dine is style. 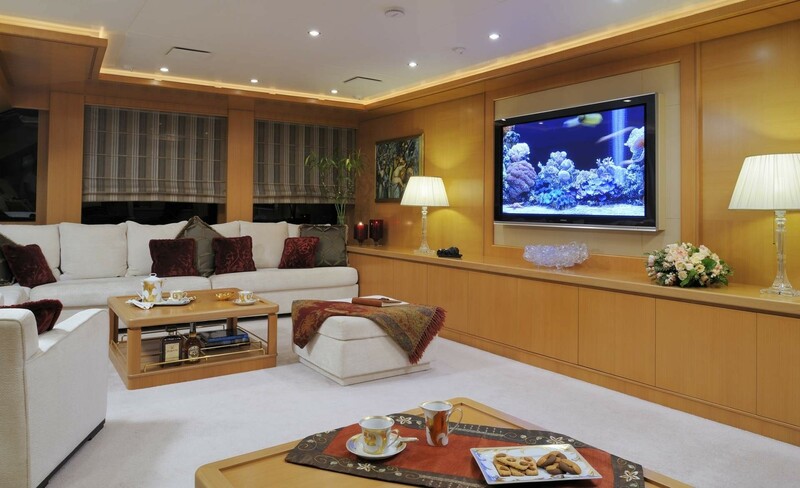 The upper sky lounge boasts comfortable sofas, coffee table and full entertainment systems. 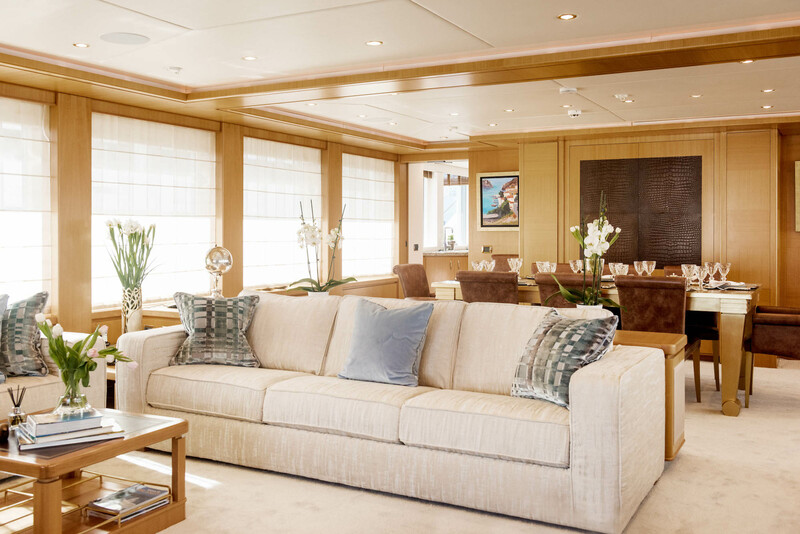 Both the main salon and upper sky lounge benefit from panoramic windows, allowing for fabulous natural light and unrivalled views. 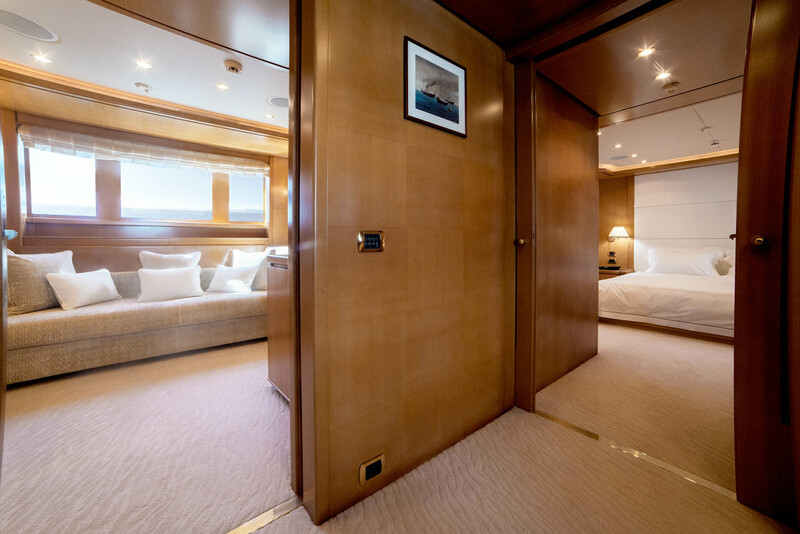 The master cabin is on the main deck forward of the salon, offering a full beam layout and private seating area. 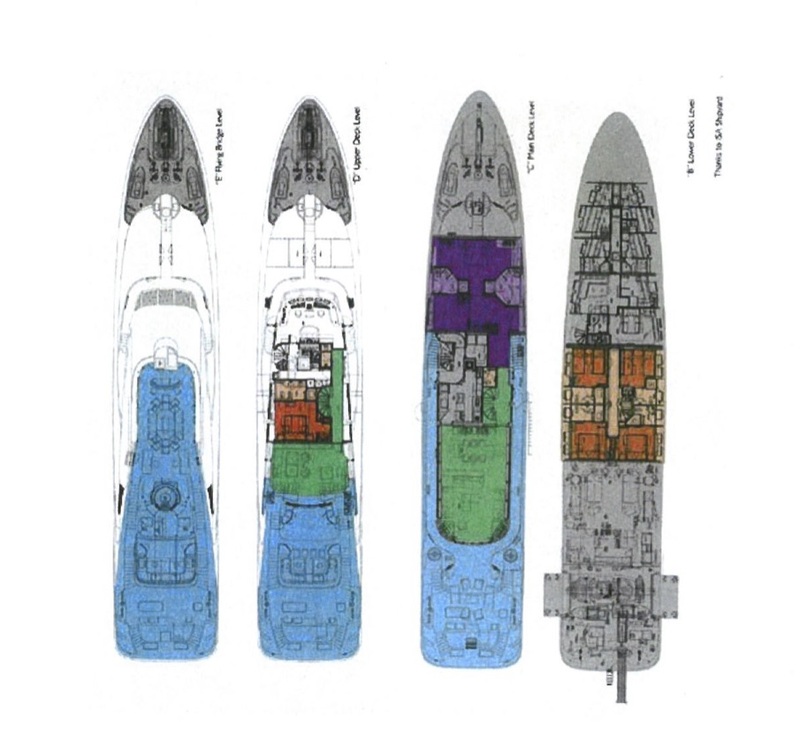 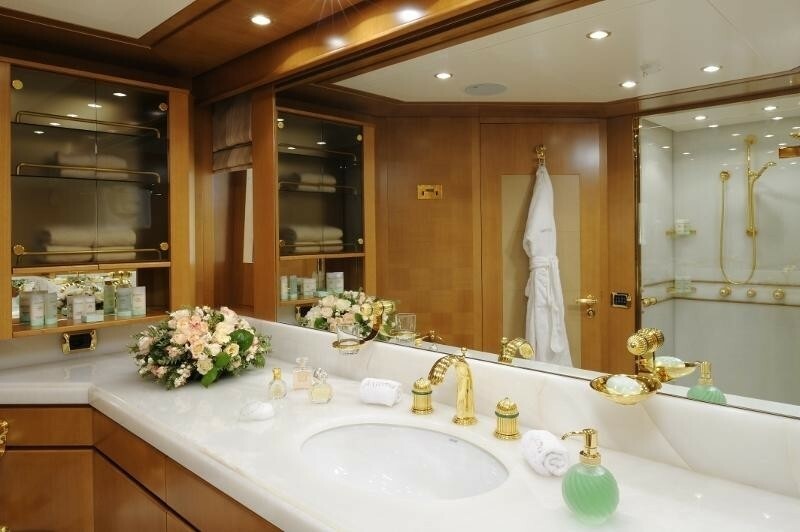 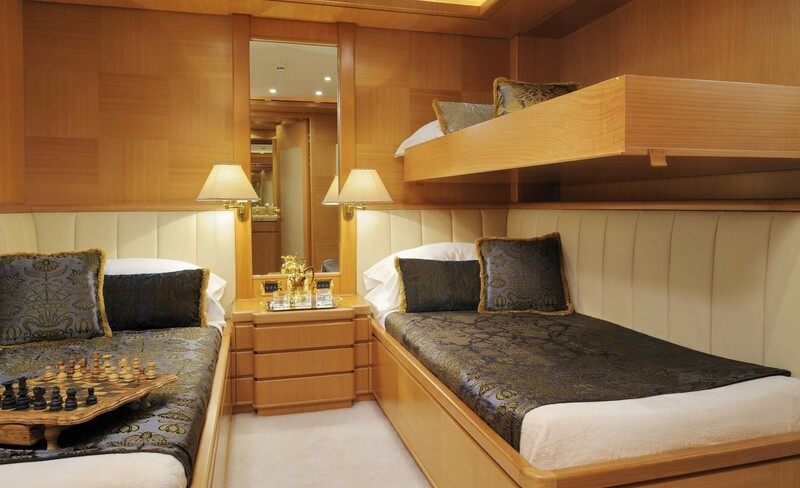 Below decks is 1 VIP cabin, 2 double cabins and 2 twin cabins. 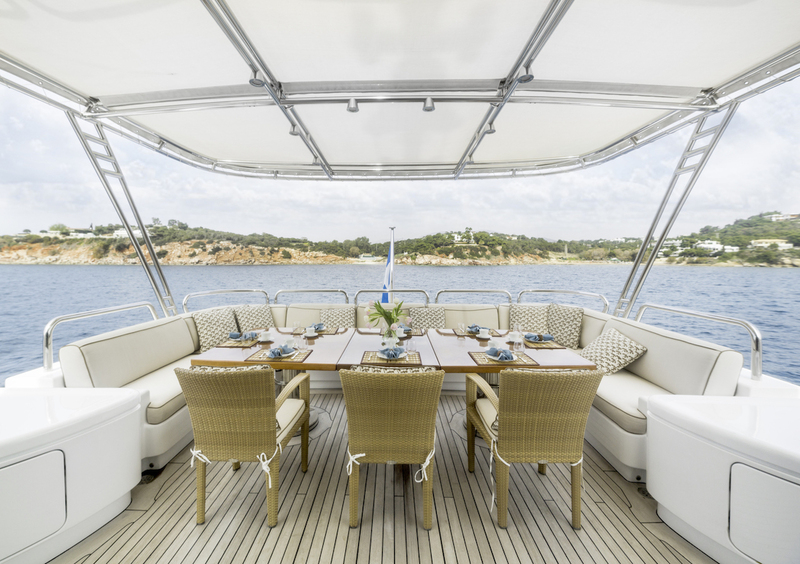 The exterior living is capacious on 3 decks. 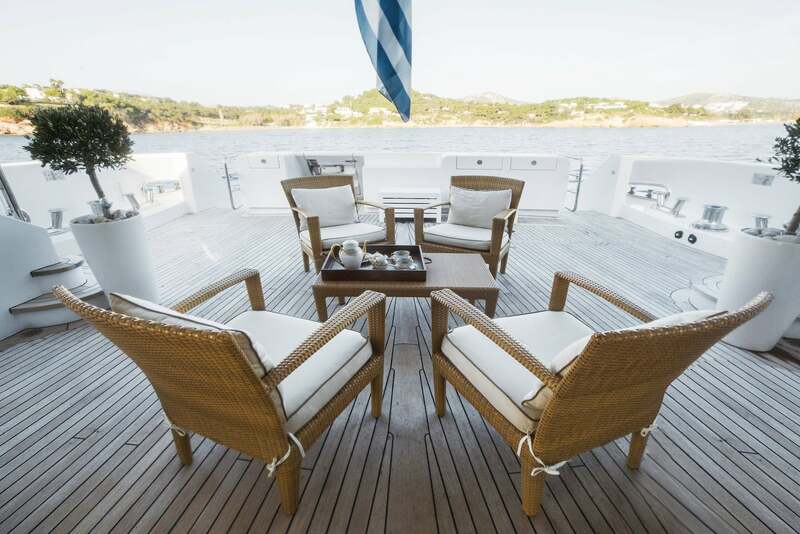 The main aft deck is adjacent to the salon with partial shade and an alfresco dining option. 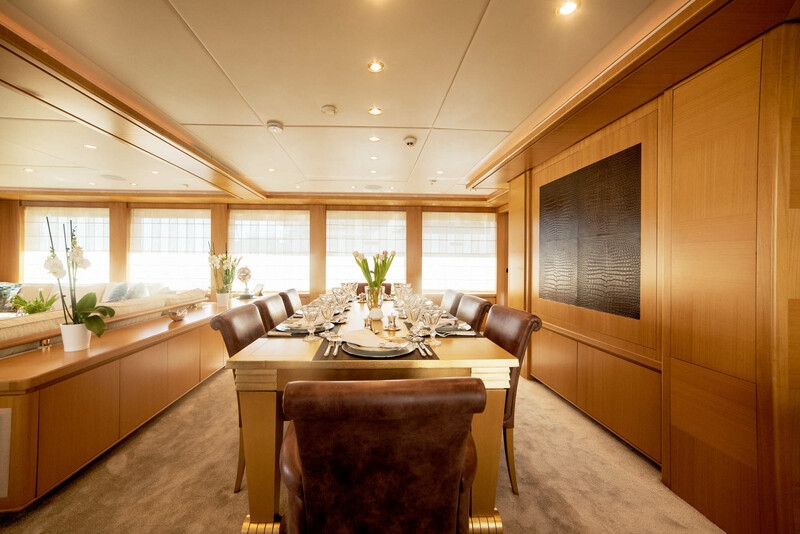 Aft of the upper sky lounge is the bridge deck, where guests will find a relaxing seating area and partial shade. 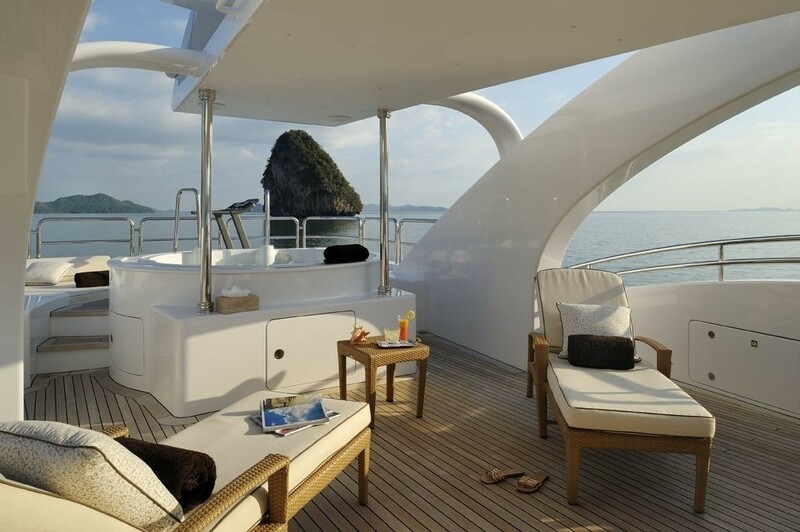 The upper deck features a well-appointed sundeck, complete with an alfresco dining option, bar, sunbeds and Jacuzzi tub. 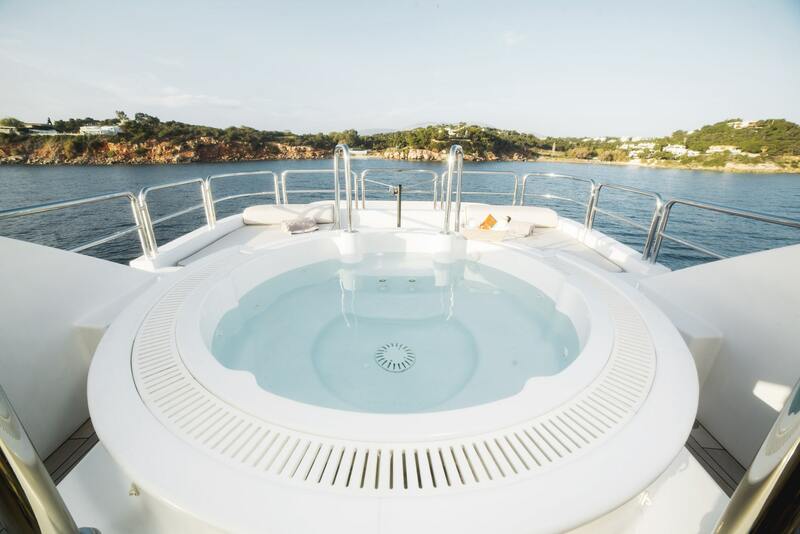 If water sports are high on the priority, the extended swim platform is ideal for effortless water activities. 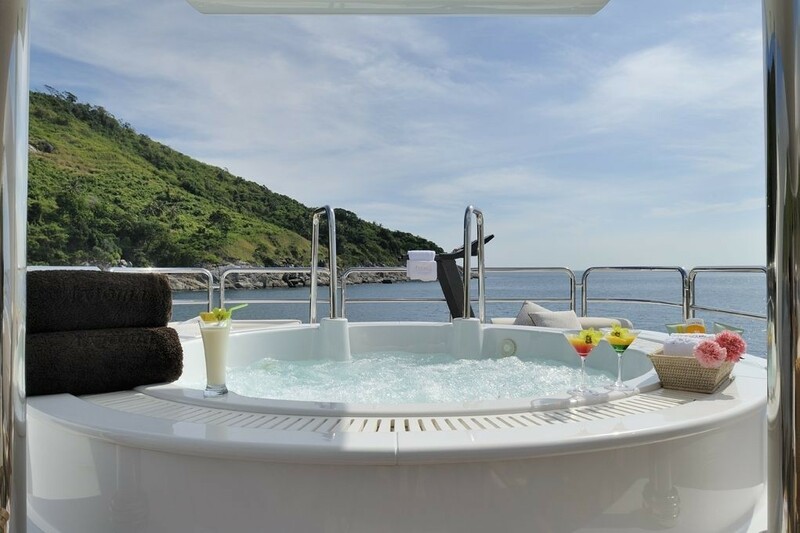 Thanks to port and starboard exterior steps, guests can get from the swim platform to the sundeck easily and quickly. 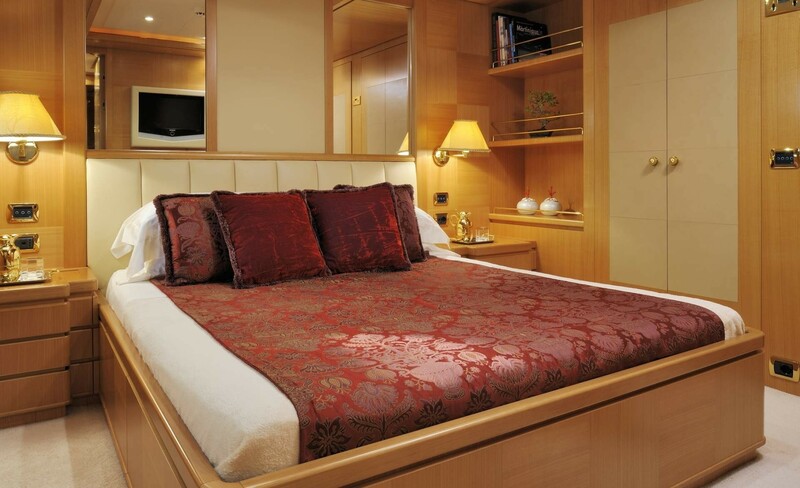 Powered by 2 x MTU 2,340hp engines, OASIS cruises at 13 knots and reaches top speeds of 16 knots. 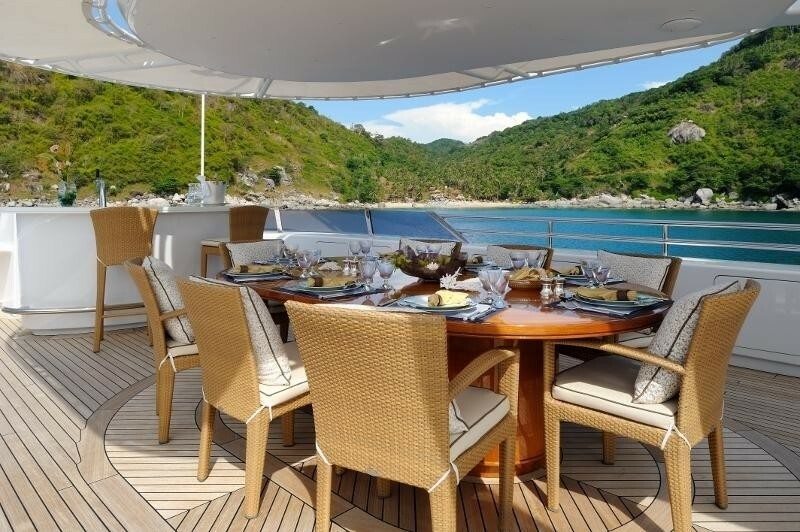 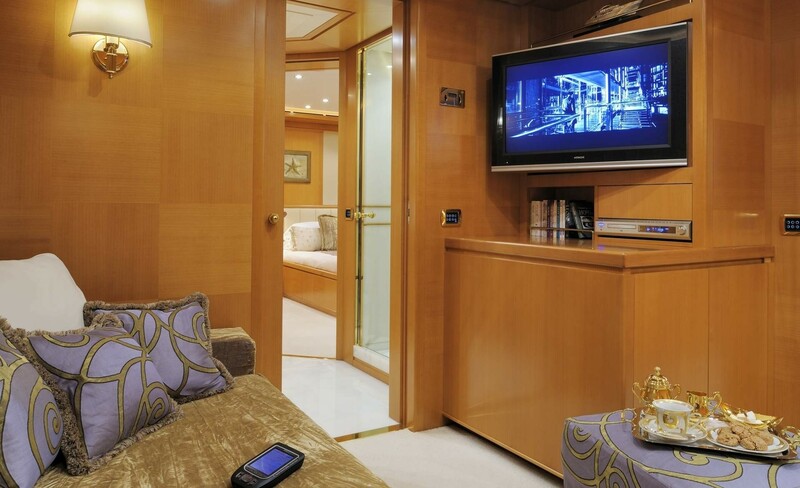 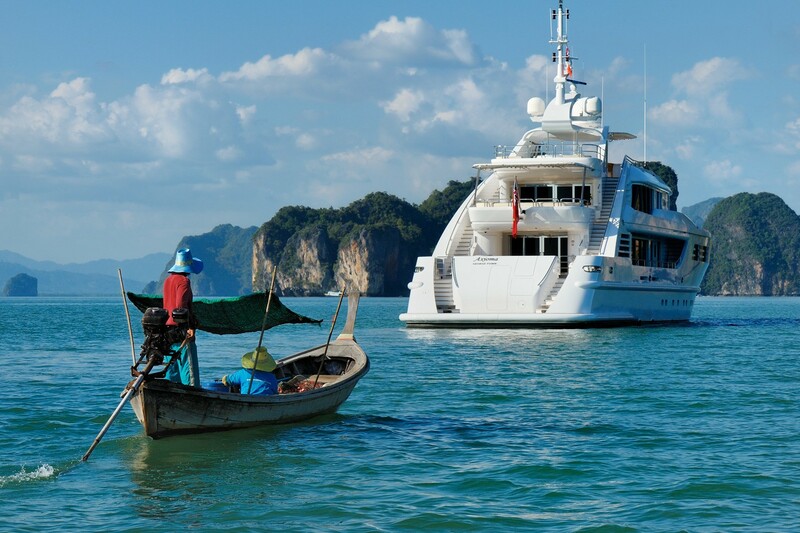 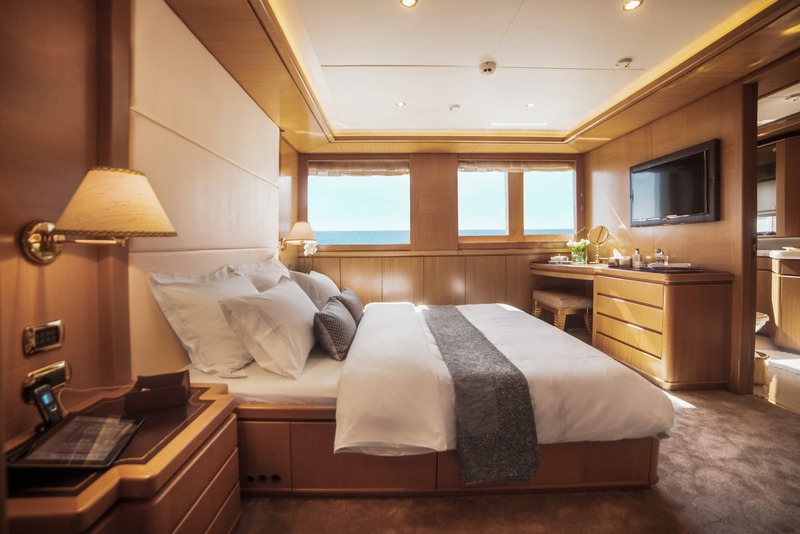 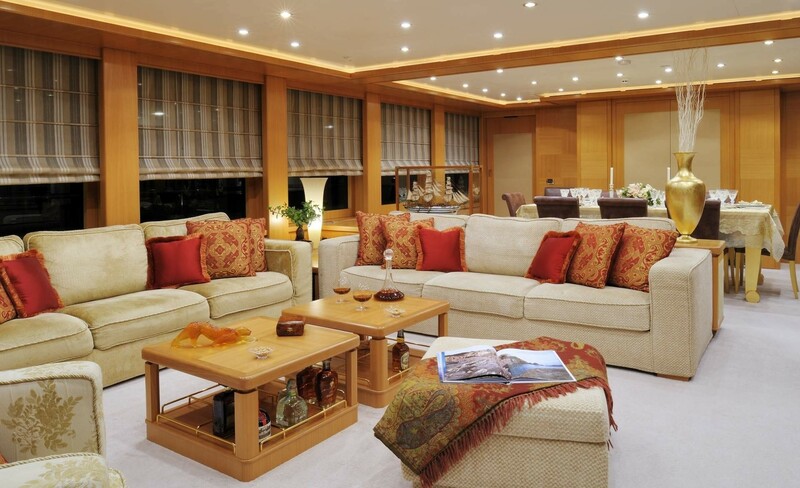 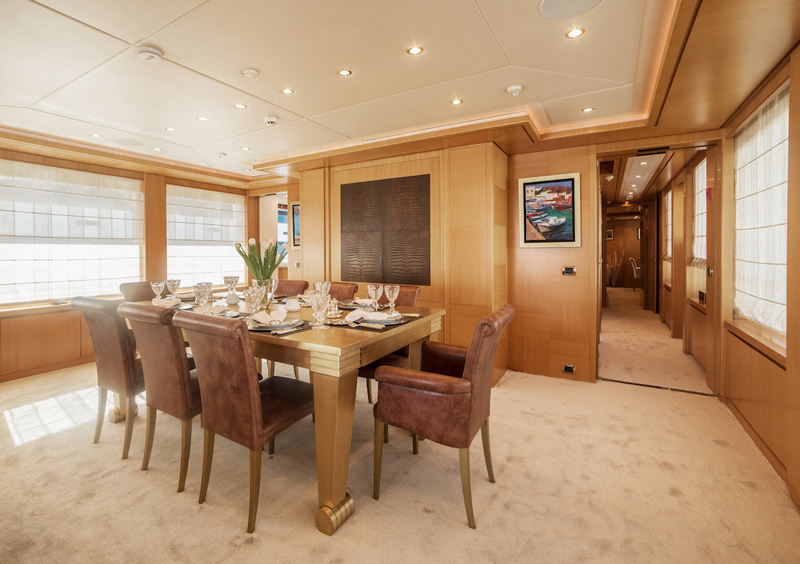 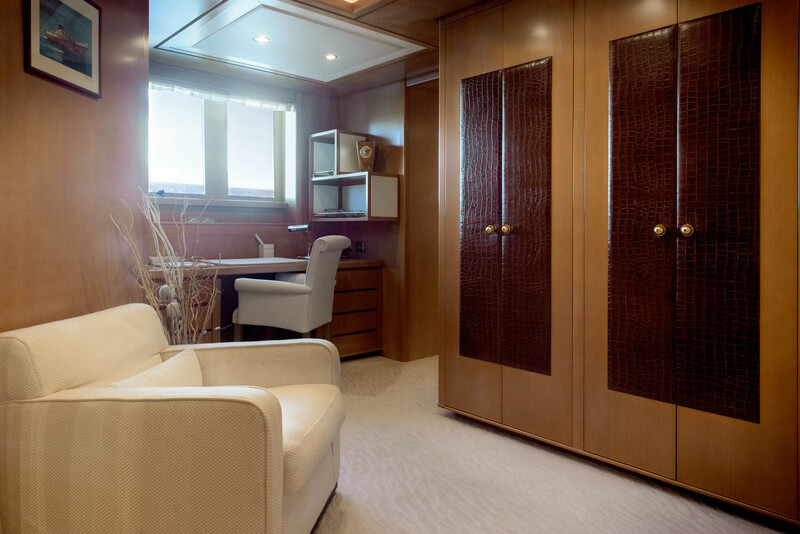 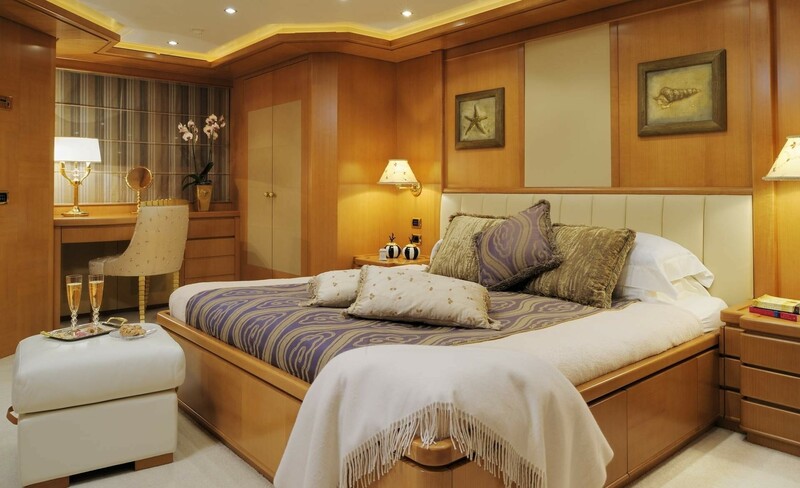 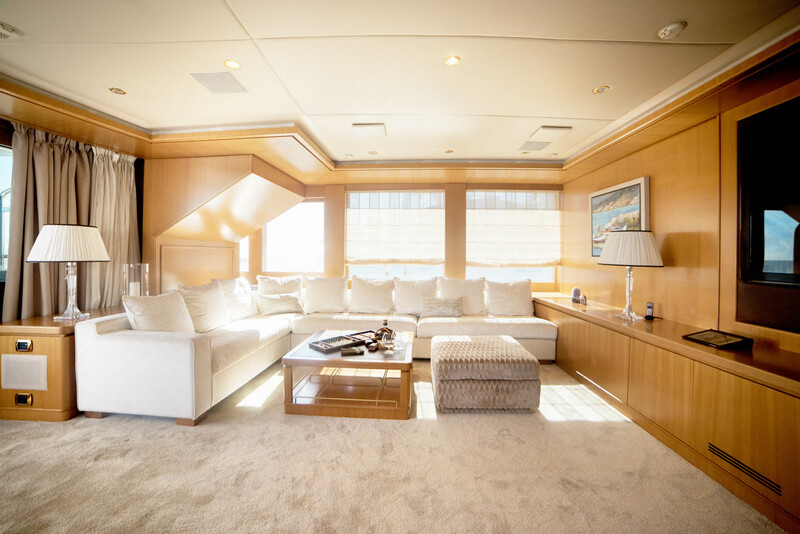 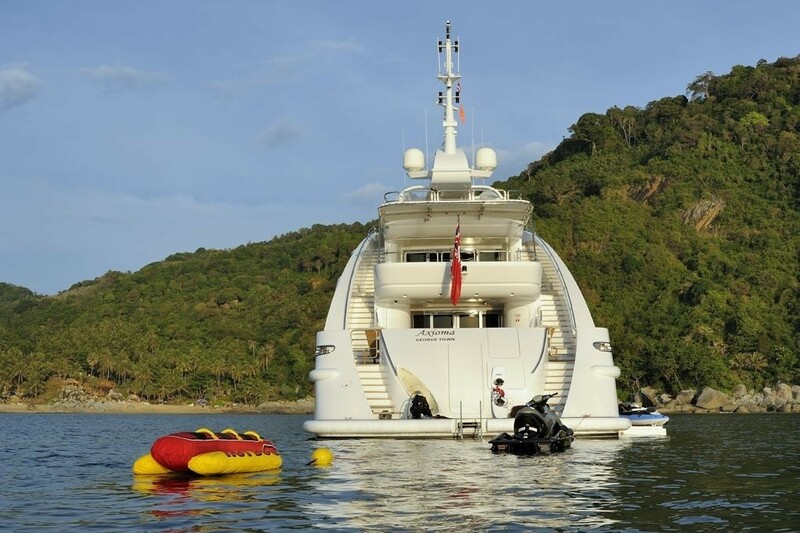 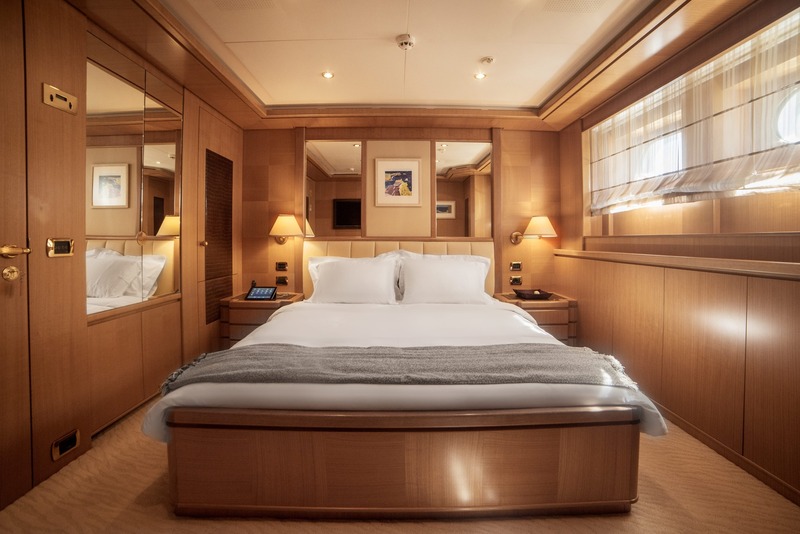 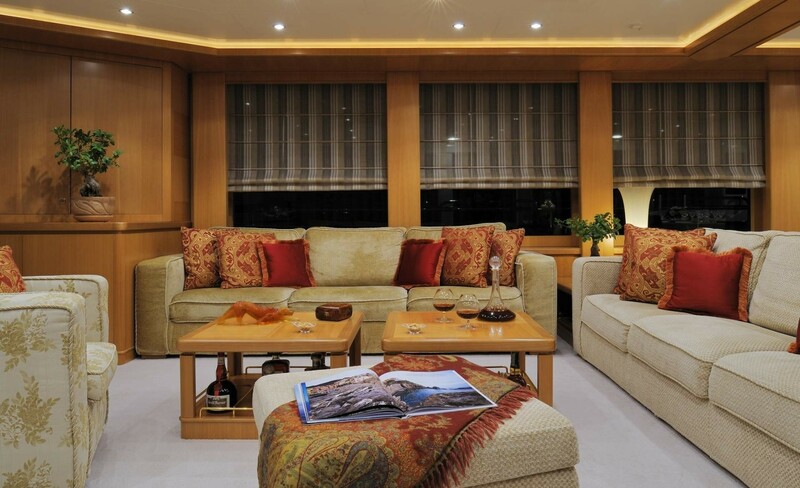 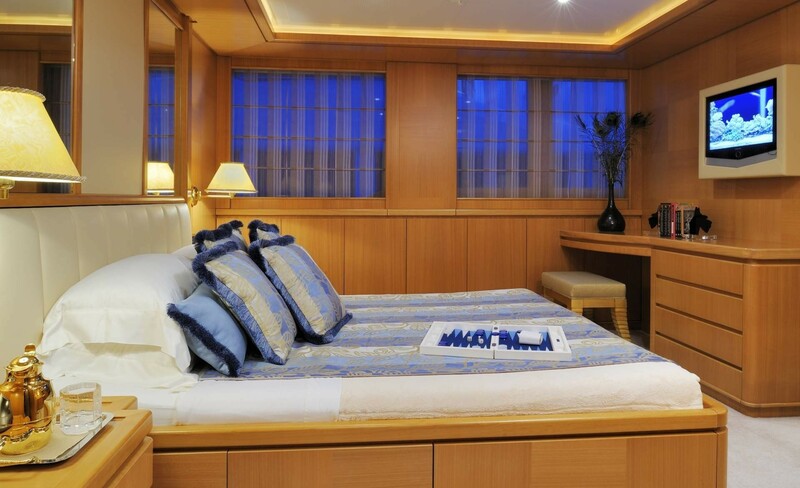 Motor yacht OASIS offers accommodation for up to 13 guests in 6 cabins. 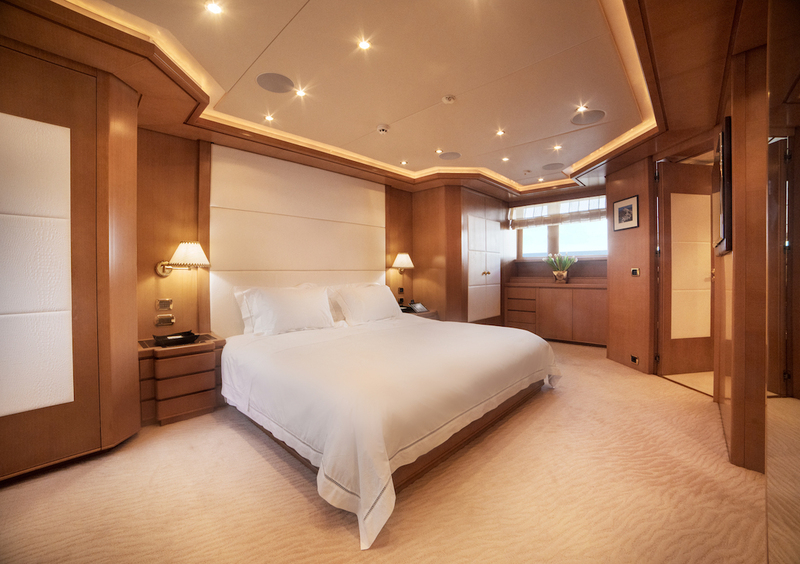 The master suite is on the main deck forward and full beam of the yacht. 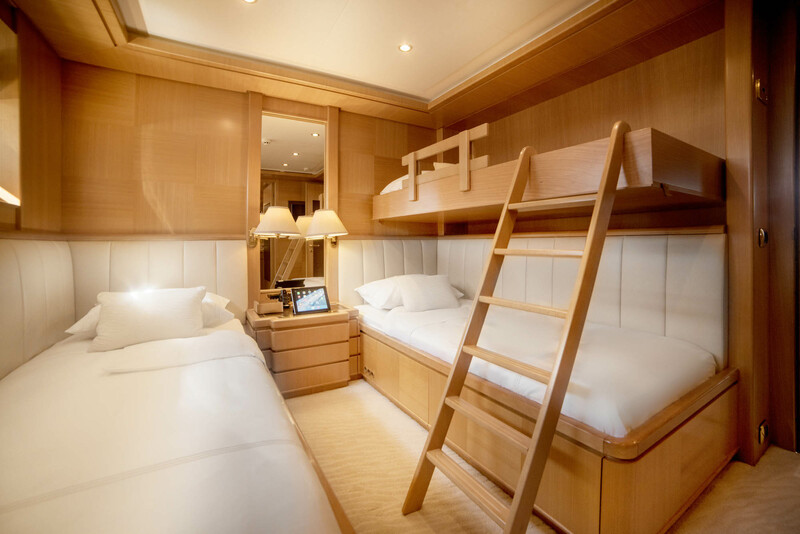 On the lower deck is 1 VIP cabin, 2 double cabins and 2 twin cabins. 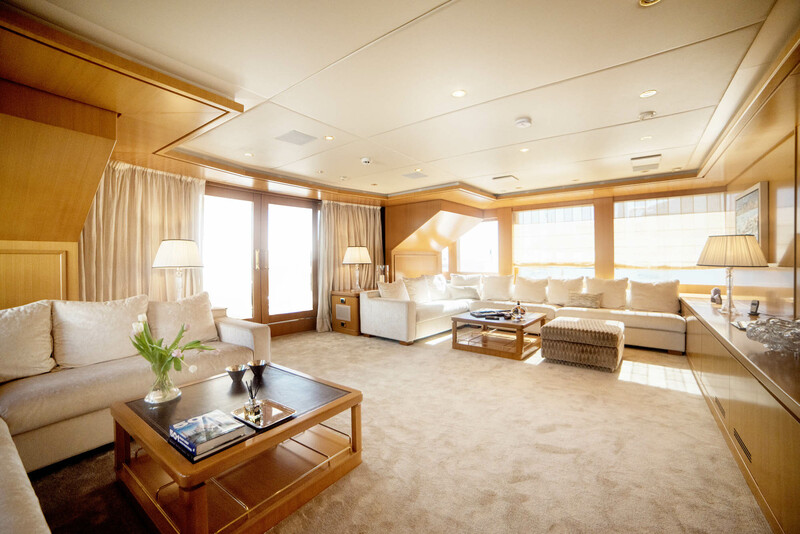 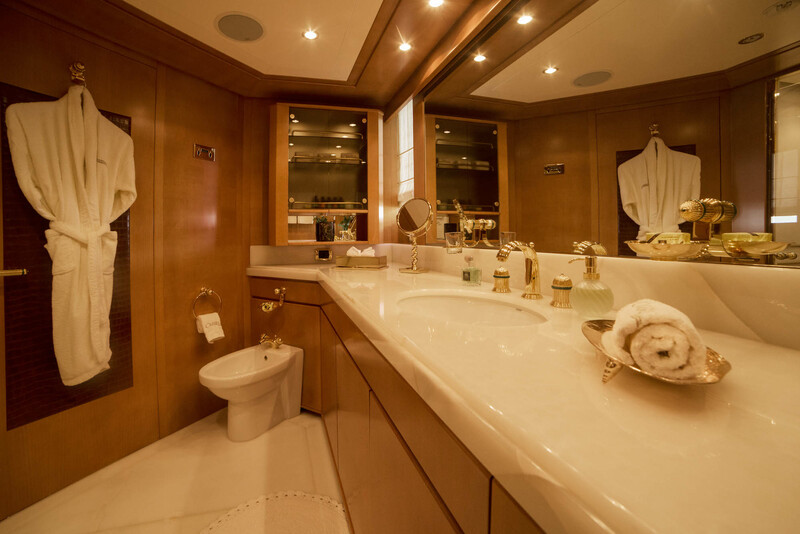 All 4 cabins are finished in a contemporary elegant décor and boast plenty of space to relax and unwind.